All components are constructed of MDF wooden board in different thickness and finishes (Desk and return top in 30mm & Others are 18mm thick solid wood edges) Steel tubular uprights in stove enameled finish. 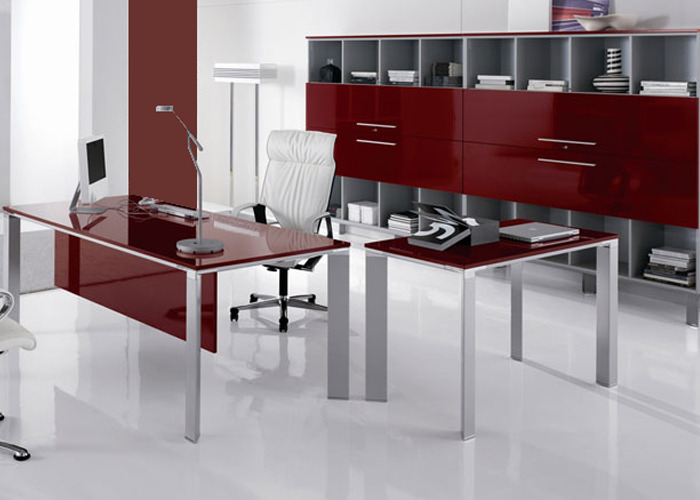 All desks, returns & Wall units are provided with leveling glides. Pedestals are available on request. All storage components are available with keyed alike locking & Handles. NOTE: Other custom furniture size and matching wall unit, Credenza, Low/Center/Meeting tables may be produced on request for projects. Finishes may be submitted for selection at the time of order.